As a cryptocurrency investor, it is very important to keep track of your investments. Sometimes it becomes very difficult to monitor virtual currencies scattered around different cryptocurrency exchanges. So what you should do? This article will tell you about some of the best FREE android applications which you can use to create your cryptocurrency portfolio and monitor it in one place. This is one of the best application available in the Play Store with a rating of 4.7. With the help of this smartphone application, you can monitor all cryptocurrencies in one place. This app allows you to monitor and track all the cryptocurrency available in CoinMarketCap.com. You can check prices, details, and charts of your favorite cryptocurrency. Also, it easily allows you to see the market for the given coin along with the volume, pair & price. To track certain coins, you can put them to your favorite list and then can track them without any hassle. With the help of this app, you can also set the price trigger alarm, so if the price of the virtual currency goes up or down, it will notify you through a very loud alarm. Blockfolio app is very popular amount cryptocurrency enthusiast and is the best smartphone app to monitor and track your Bitcoin & cryptocurrency. It will allow you to make your own portfolio and manage it. Blockfolio will let you add all of your crypto transactions from almost all the cryptocurrency exchanges around the world. 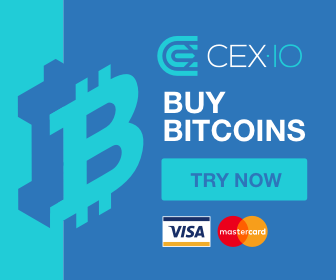 It also helps in saving time on trades originating from fiat, ETH or BTC with Auto Debit/Credit. It has a rating of 4.7 and provides awesome support, so do try them. This android app is similar to the first one and will help you to monitor bitcoin rates along with other cryptocurrencies. Some of its unique features are priority list setting, price alerts, widgets, etc. Do let us know what are your reviews of this application. It is currently having a rating of 4.8 at Play Store, which is quite impressive. This is one of our favorite application to manage and track our cryptocurrency portfolio. It allows you to keep track of all cryptocurrency and coins from all the available exchanges in your favorite fiat currency along with alert facility. Delta also has the option to monitor the virtual currency which you have not purchased and thus helping you to do the analysis. It also shows the chart of any particular cryptocurrency along with its market cap, volume, circulating supply, Day low & high and the rank in the global market. We will urge you to check this app as they have almost all the coins in their library and if you like it you can go with Pro option which allows you to create multiple portfolios. It is another awesome Android app to monitor and manage your crypto portfolio. You can easily keep track of Bitcoin, Ethereum, Litecoin and Altcoins using this application. Other features which make this app unique are market data, ICO details, news and ability to connect to multiple exchanges and wallets securely. Like other crypto tracking apps, you can easily add crypto to your watchlists and also set alerts for the particular price. CoinView also has the facility to connect directly to your cryptocurrency exchange like BigONE, Binance, bitbank, Bitfinex, bitFlyer, Bithumb, Bittrex, Coincheck, Coinone, HitBTC, FCoin, Huobi, Kraken, Kucoin, OkEx, QUOINEX, Zaif via their official APIs. This cryptocurrency tracking app also supports crypto wallets like Bitcoin, Blockchain.info, CoinBase, Counterparty, Ethereum, MONA, MyEtherWallet, NEM. So do check them out and let us know about your experience. This application is from “One Tcup LLC” and is best one if you are looking to manage multiple cryptocurrency portfolios at one place. You can easily keep track of your favorite virtual currencies in your local currency like U.S. Dollar, Australian Dollar, Canadian Dollar, Euro, British Pound, Indian Rupee, etc. With its Material UI with the latest Android framework, it provides you with the best experience and it takes its data from Coinmarketcap. The name of this Android application is also CoinMarketApp and is from “PrograMonks” with the rating of 4.7. This smartphone app lets you create a portfolio easily and also give access to other features like cryptocurrencies prices, market cap, exchange markets, coin details, charts, crypto news, ICO live – upcoming and finished, alerts on over 1000 cryptocurrencies including Bitcoin, Bitcoin Cash, Ethereum, Iota, Cardano, Stellar, Ripple, Litecoin & many more. This app also shows you the gainers and losers of the day and you can simply scroll to read the latest news about the crypto world. If you are tracking the price of any virtual currency, do not forget to set an alert on this app. Tried this app already? Please share your experience with us. Note: All the above android applications are only for managing your crypto portfolio and are not the Bitcoin wallets or wallet for any other altcoin. These were some of the best cryptocurrency apps for Android platform which you can install on your Smartphones and start tracking and managing your cryptocurrency portfolio. Do let us know if we have missed any of your favorite application and also share experience about it. If you like this article, do not forget to share it and follow us on social media channels for more such articles.